Location: G-ville, FL - hopefully on a trail. This badboy was guarding one of the trails back to Lauren's hidden stash of Beetles,Rabbits and others. 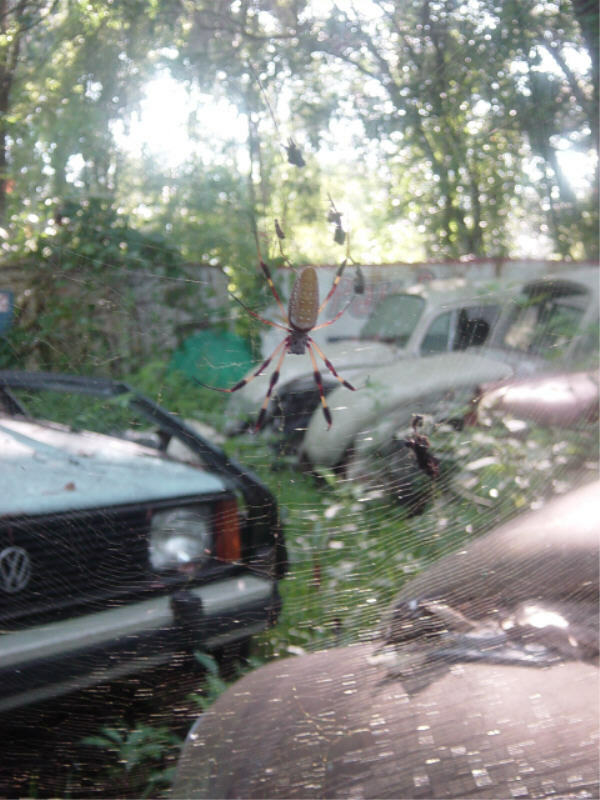 This monster would just about cover the palm of your hand, a little larger than typical central florida banana spider. Luckily she has it trained.